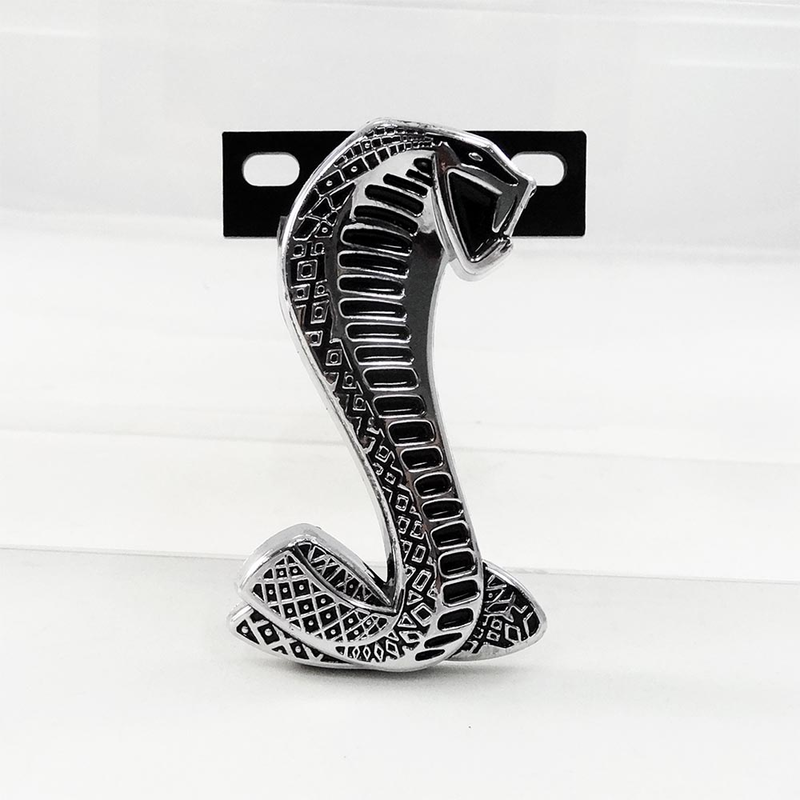 Complete the look of your Mustang with this front Cobra Grille emblem and bracket. Fits all 1994-2004 Ford Mustangs. Bracket is powder coated black and mounts in the factory location. Quality Construction: No one gives you the bold clean styling of our Aftermarket Dress Ups, Suspension and Performance Parts for your American Muscle Car like UPR Products! Installs in 10 minutes or less. Fits these Vehicles: 1994 1995 1996 1997 1998 1999 2000 2001 2002 2003 2004 GT V8 302 281 Cobra Mustang Steeda Roush & Saleen Vehicles.